Erik and I have lived in our house for about a year and a half and finally took on a big project that has been on our to do list. 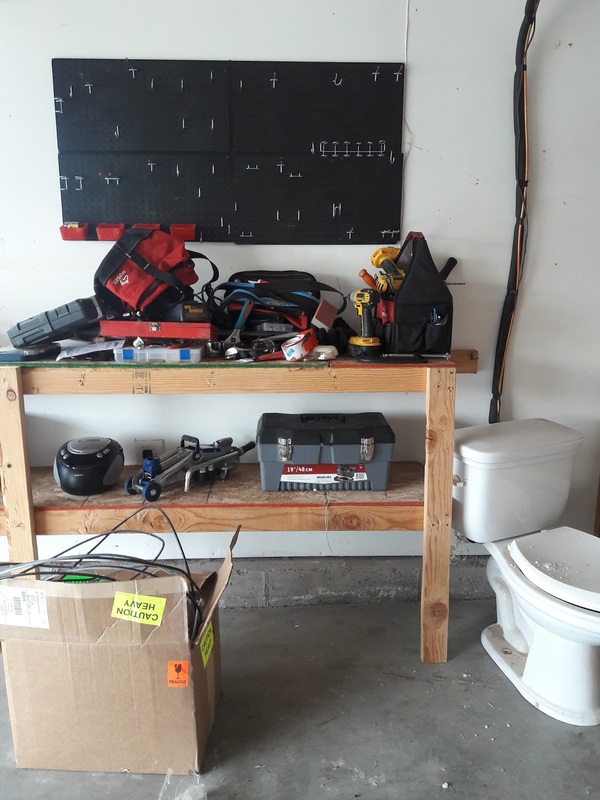 When we first moved in anything we couldn't find a place for got left in the garage. 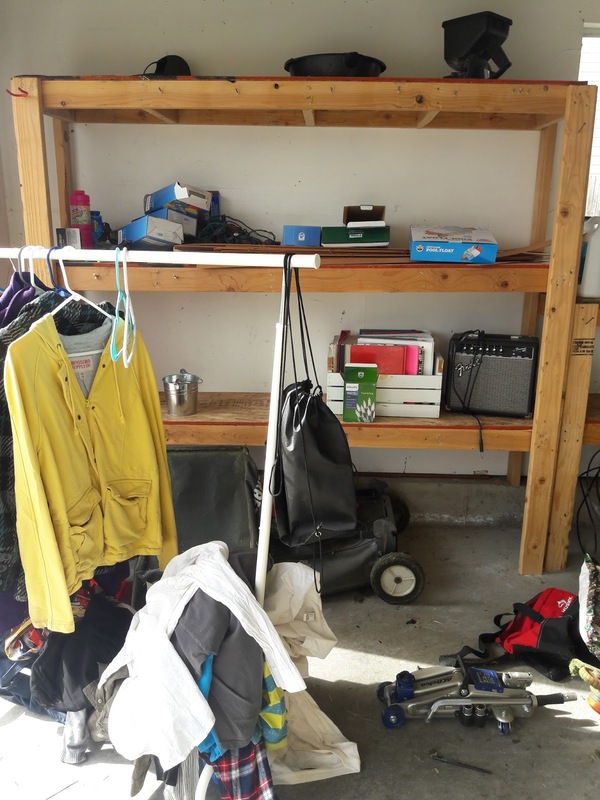 A few months later my parents dropped off a large amount of stuff they had been storing for me at their house and it was left in the garage. A few months after that Erik came home from his Mom's house with a ton of boxes from his childhood and they were left in the garage as well. 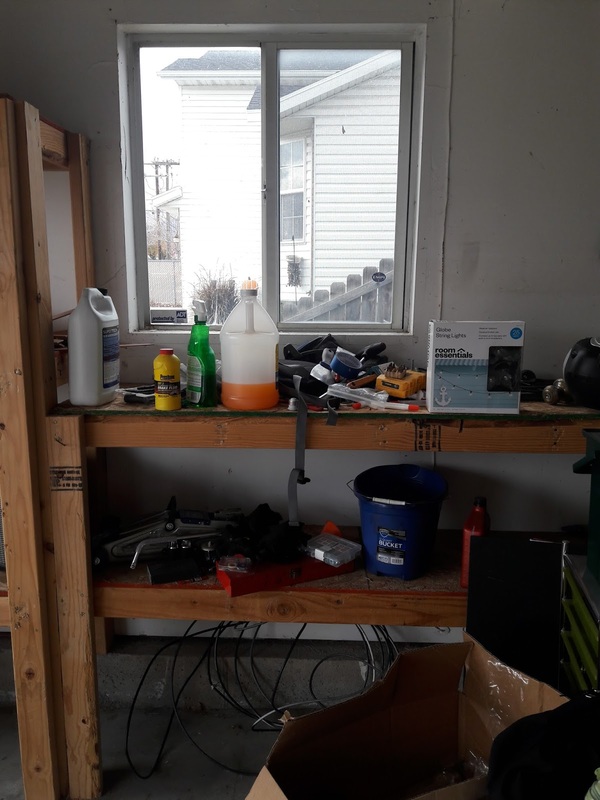 Add all of those things in with the random stuff the previous owners left for us and we had one messy garage. 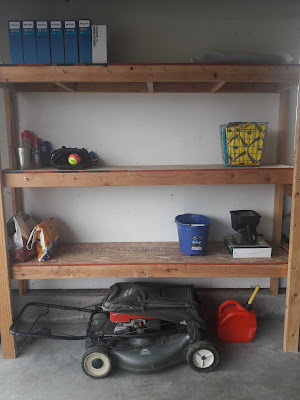 We decided to finally tackle it since winter will soon be upon us and Erik would like to be able to park his new truck in the garage. 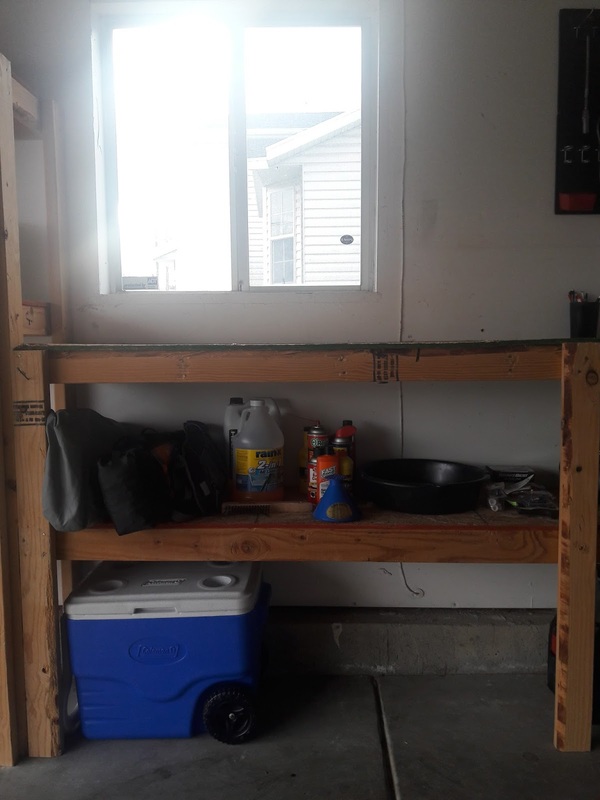 The previous owners built their own shelves and left them in the garage when they moved out. We didn't mind as they came in use. 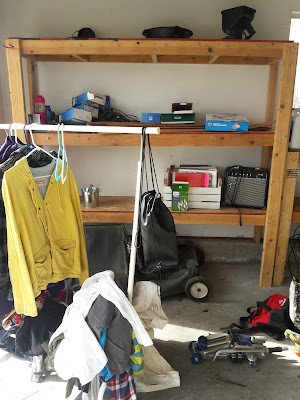 We moved quite a bit of junk inside and organized it in our basement. The rest we organized into sections: yard tools, camping equipment, car supplies, etc. 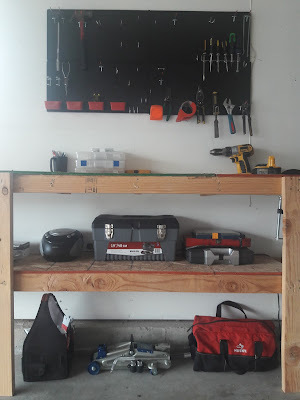 The other half of our garage still has some work to be done and a trip to the dump is in order but I think we made great progress on the first half. And Erik can finally park in the garage! What are some big projects you have on your to do list?